Great grandpa really had more hats than I thought! After his tophat I now also found his Bowler hat (by Josef Mauerer, Vienna)! 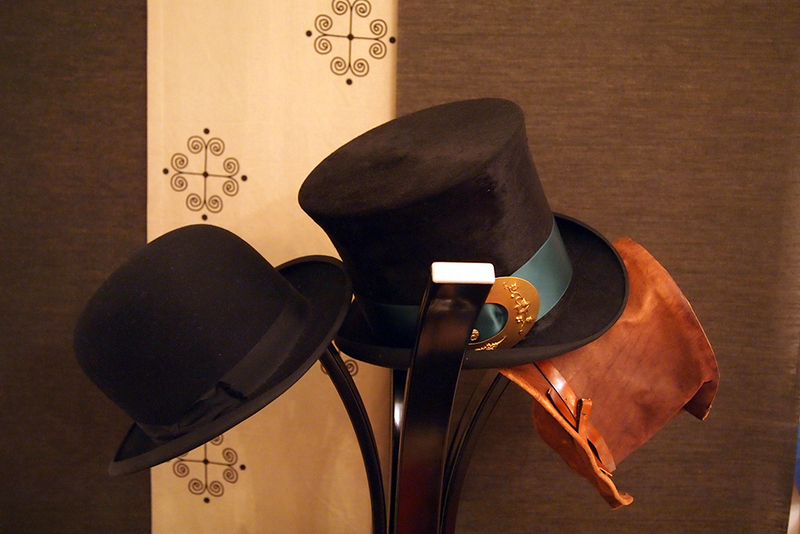 A photography which has been on the wall of the hallway in our country house, where he lived, as long as I can think, shows him on his wedding day – with exactly this hat in his hand. Around 100 years later, it is still in such good shape that it means he cannot have worn it often.